The base for these cheesecakes is an Italian cake called “Caprese” which is not only totally delicious, but also traditionally gluten-free and Vegan: it’s made with just a few ingredients and it only needs almond meal as flour. You can now read the precise recipe here! This is also the only step that requires baking (just 15 minutes in the oven). For the cheesecake layer, I was about to go the ever-so-popular cashew route, but I got a surprise package from my parents that included some Valsoia Vegan cream cheese (that I don’t find in stores in France) and this was the perfect opportunity to use it. Start by melting dark chocolate in a water bath (or in the microwave if you prefer). As soon as it starts melting remove from the heat and add the plant-based milk, stirring gently. Add the almond flour, the oil oil, brown sugar and cornstarch to the chocolate. Finally add the baking powder and vanilla essence. Mix gently until a creamy, smooth mixture is obtained. Pour the mixture in 4 heart shaped silicon molds (or plain silicon muffin molds) and bake at 180°C/350°F degrees for about 15 minutes. Once baked, let them cool down and put in the freezer, covered. Once the cake layer has cooled down, simply combine the plant-based cram cheese, the powdered sugar and the vanilla essence and mix well. Taste and adjust accordingly. 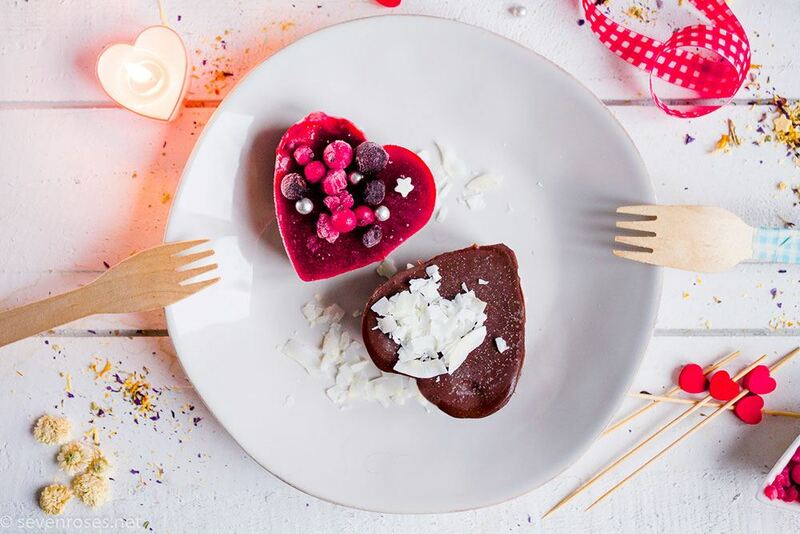 Delicately scoop the cream cheese mixture on top of the heart-shaped mini chocolate cakes, cover and put back in the freezer for the last step. Mix the frozen berries with a little bit of water, heat up on the stove or in the microwave. The berries should quickly become soft and release all their juice. Strain it and pour it over the cold cheesecakes. Put back in the freezer. Mix the dark chocolate squares with the coconut oil. Heat up for 30 second increments in the microwave until completely melted. Pour on top of the the cold cheesecakes. The chocolate layer will almost immediately become hard (this same technique can also be used for a hard shell chocolate ice cream topping). Put back in the freezer. ♥ And enjoy with the one you love! 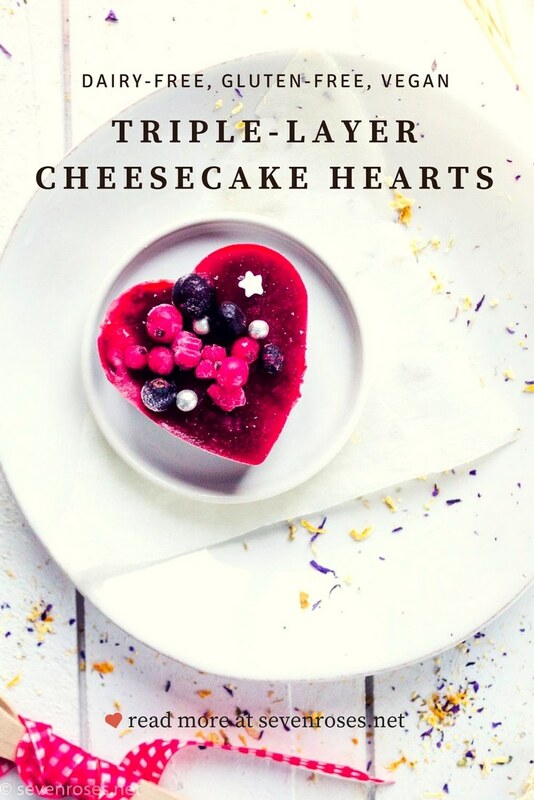 These Triple-layer cheesecake hearts are to be kept in the freezer, but you’ll want to let them thaw for 5 minutes before serving. That way, you get a perfectly luscious and creamy heart when you serve it. Slide a knife on the edges to help pop them out of the molds. If you don't have a silicon heart shaped mold, you can achieve the same triple-layered result with plain silicon muffin molds. I advice to make these the day before serving them, or at least the cake layer in order to have time to cool it down properly. 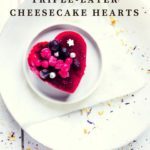 If you give this Triple-layer cheesecake hearts recipe a try, please let me know in the comments’ section below! You can also find me on social media. Be sure to tag @francesca_sevenroses on Instagram or @sevenrosesblog on Twitter and Facebook, and use #sevenroses so I’m sure to see it. This looks so awesome! I’ve been trying to cut out dairy, so desserts are challenging. What brand of non-dairy cream cheese do you use? I’ll have to look out for this. These look simply delicious and love that its vegan. Would love to try these one day! These look so good, cheesecake is my #1 weakness, and these look perfect for Valentine’s Day! These are so cute! 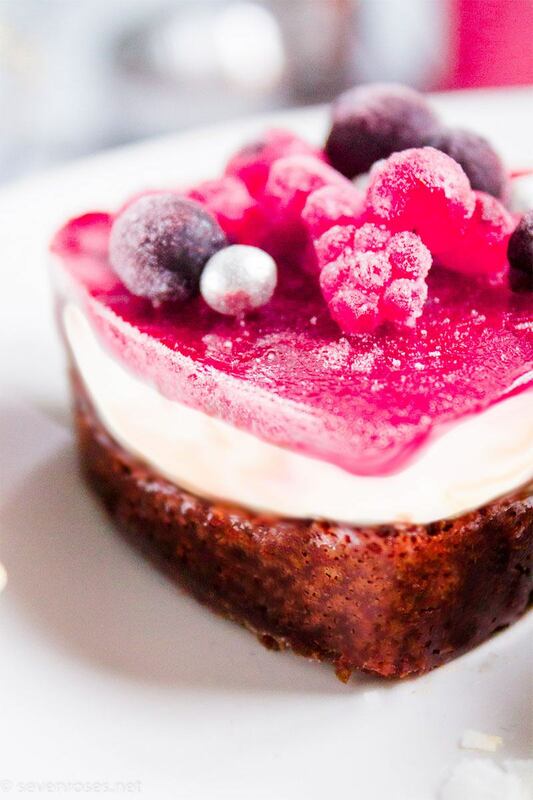 Cheesecake is my favourite dessert and they’re perfect for Valentine’s. This looks sooo delicious!!! I am going to have to try this, for sure!!! I’m always looking for alternative recipes. Glad I found your blog. These look amazing!! So simple and elegant! These Cheesecake Hearts look as lovely as they do delicious! I can’t think of a more perfect treat for your special Valentine! Wow these look amazing! Definitely going to try making these! This is the cutest recipe! I’m so excited to try it on Valentines Day. 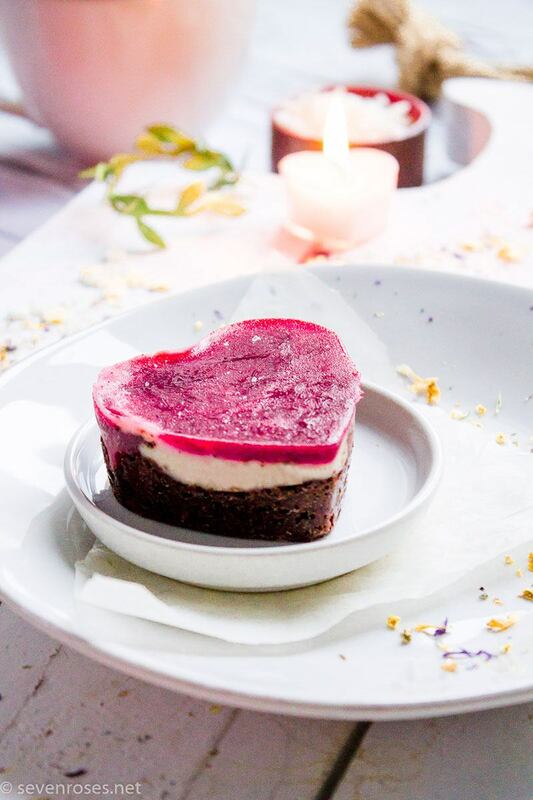 Ok this is hands down the cutest and possibly the most delicious Vegan dessert for Valentine’s Day ♥ How did you even come up with such an idea? Great recipe! I have been trying to cut out sugars and dairy so this recipe is a must try. Do you think I could substitute the brown sugar with honey? Omg ! You had me at cheesecake! These are super cute! Wow! 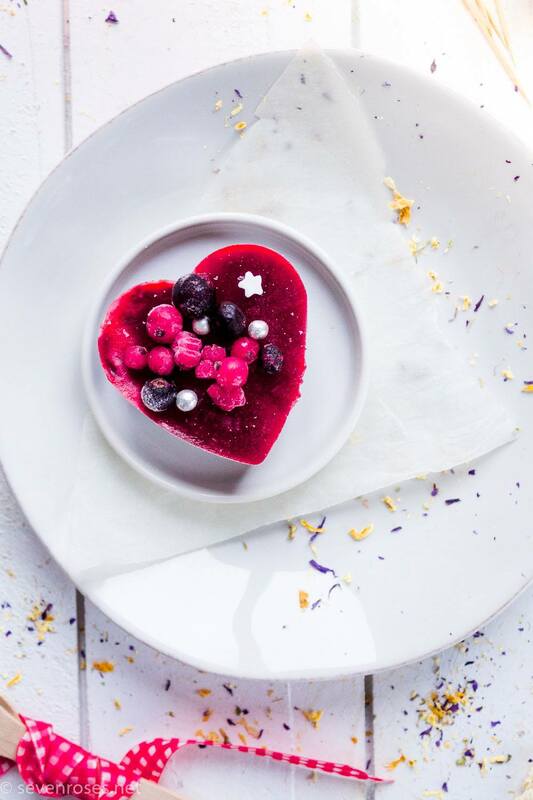 These gorgeous cheesecake hearts look like something straight out of a magazine! I can hardly wait to tie on my apron and get started with this scrumptious recipe! Thanks so much for sharing it.